Independent since 1991, Uzbekistan seeks to gradually lessen its dependence on agriculture while developing its mineral and petroleum reserves. 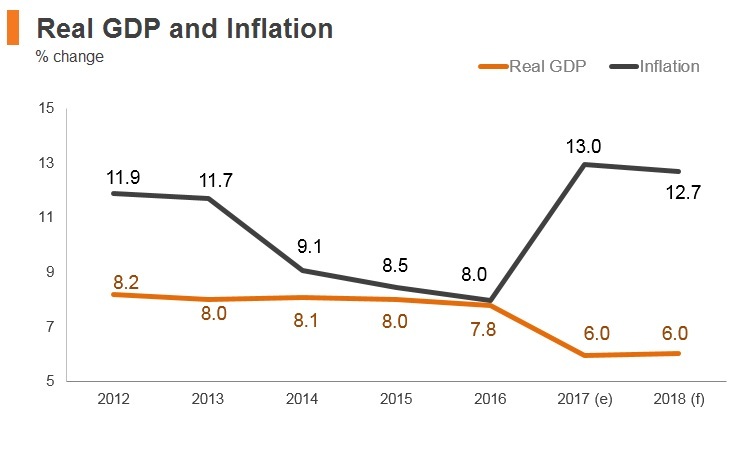 In Uzbekistan, GDP growth slowed in 2017, led by the deceleration in domestic demand. 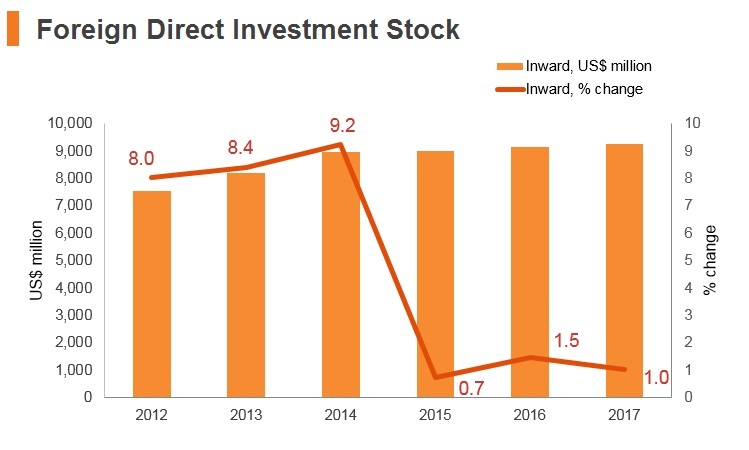 Total investment growth moderated from 9.5% in 2016 to 7.1% in 2017, but remained the main growth engine for the economy. Energy supplies and hydrocarbons, including natural gas and petroleum, provide a significant share of exports. 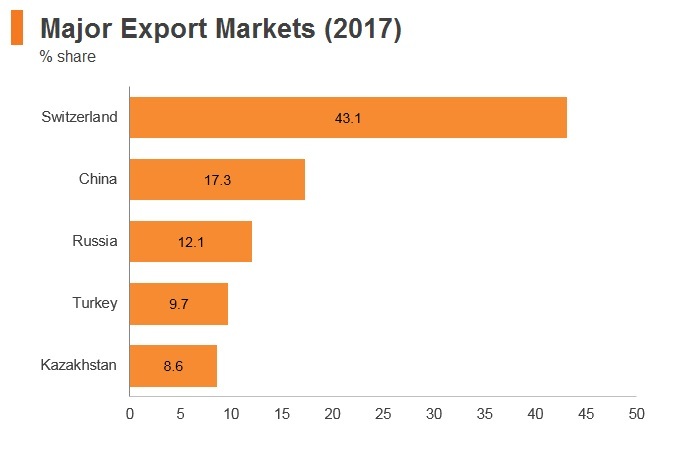 Other major export earners include cotton, food, services, and metals. 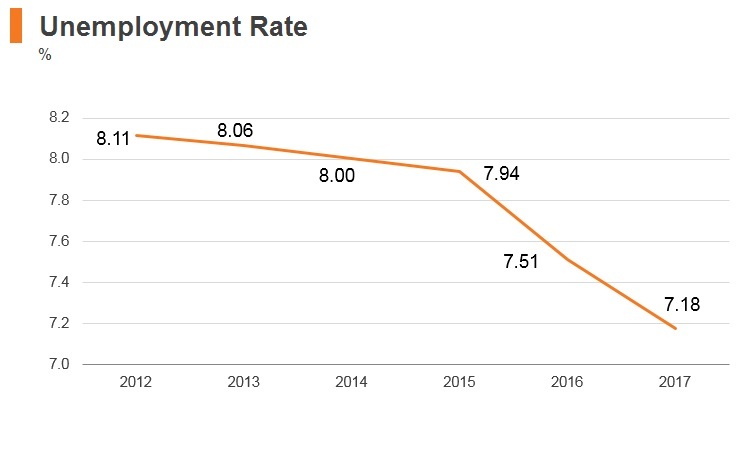 Since the parliamentary appointment of Shavkat Mirziyoyev as the new president, Uzbekistan has improved relations with its neighbours and the country has begun to take steps towards boosting economic and political reforms. The authorities are working on improving the tax system and tax administration procedures, as well as on creating greater economic data transparency, which includes joining the General Data Dissemination Standard of the International Monetary Fund. 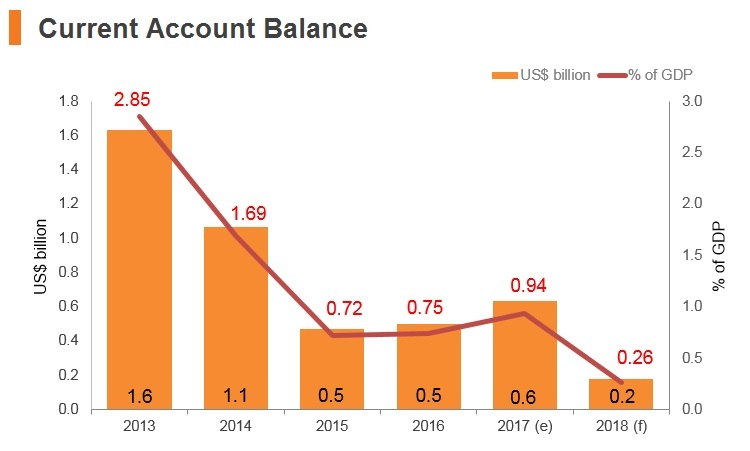 In the near term, monetary policy is forecast to tighten, with the priorities being to contain inflation and balance the current account surplus. Prime Minister Shavkat Mirziyoyev won the presidential election and set out to repair relations with Russia, China and the US, opened up economy, and relaxed the investment policy environment. President Mirziyoyev allowed commercial flights to Tajikistan for first time in more than 20 years. Rustam Asimov left the post of First Deputy Prime Minister. Uzbekistan is still negotiating terms of accession to the World Trade Organization (WTO). Uzbekistan is a founding member of the Commonwealth of Independent States (CIS) and has joined the CIS Free Trade Area. 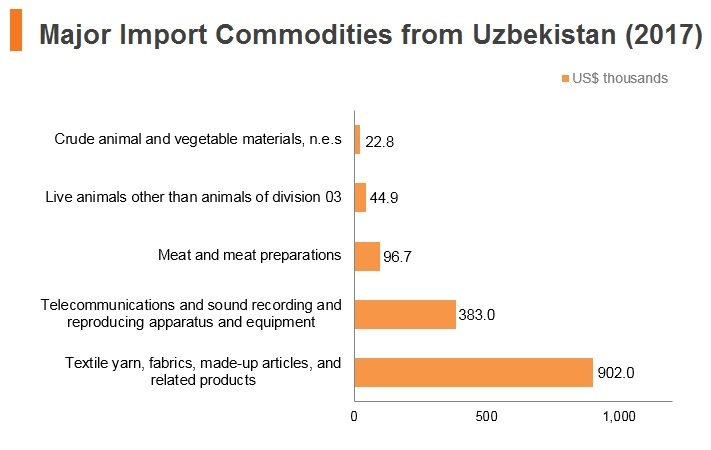 The import of certain goods to Uzbekistan is subject to customs duties. The taxable base is determined as the customs value of imported goods. Rates of customs duties vary from 5% to 70%, depending on the type of imported goods. 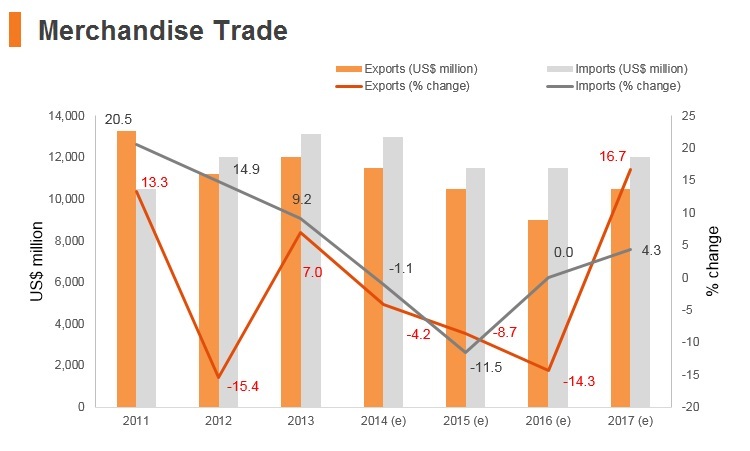 There is also a customs clearance fee of 0.2% of the customs value of imported goods, but not less than USD25 and not exceeding USD3,000. 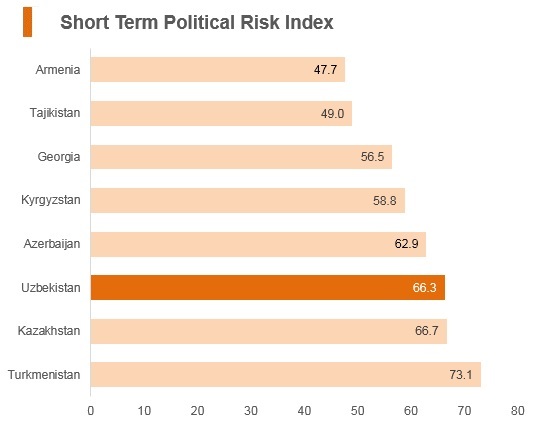 Uzbekistan has the highest average import tariff rate out of eight Caucasus and Central Asian countries. 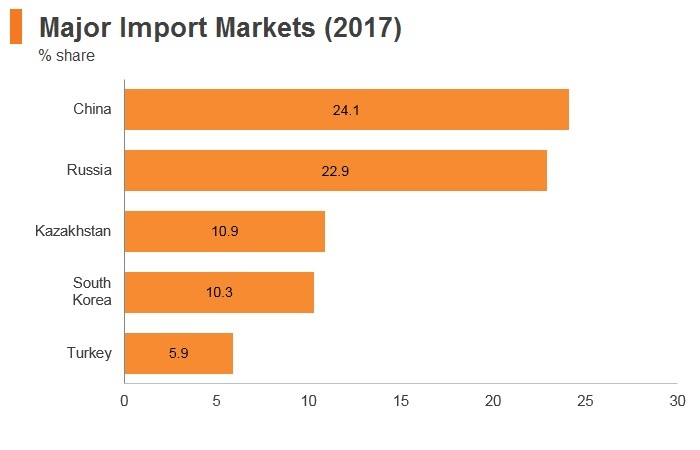 The tariff rate on imported live animals, milk and cream, wheat and computer hardware is 5%; 10-30% on clothing, furniture, metals and foodstuffs; and 50% and above on luxury goods, vehicles and cigarettes. All imports must additionally pass stringent labelling requirements which must be in the Uzbek language. The Uzbek government allows duty-free import of machinery and equipment for certain sectors to develop local industries. For example, there are no import duties for textile equipment and machinery and for spare parts. Excise tax, charged as a percentage of the declared customs value, must be paid on certain products, such as cigarettes, vodka, ice-cream, oil and gas condensate, fuels, cars and carpets. Uzbekistan will begin negotiations on accession to the WTO in 2018. 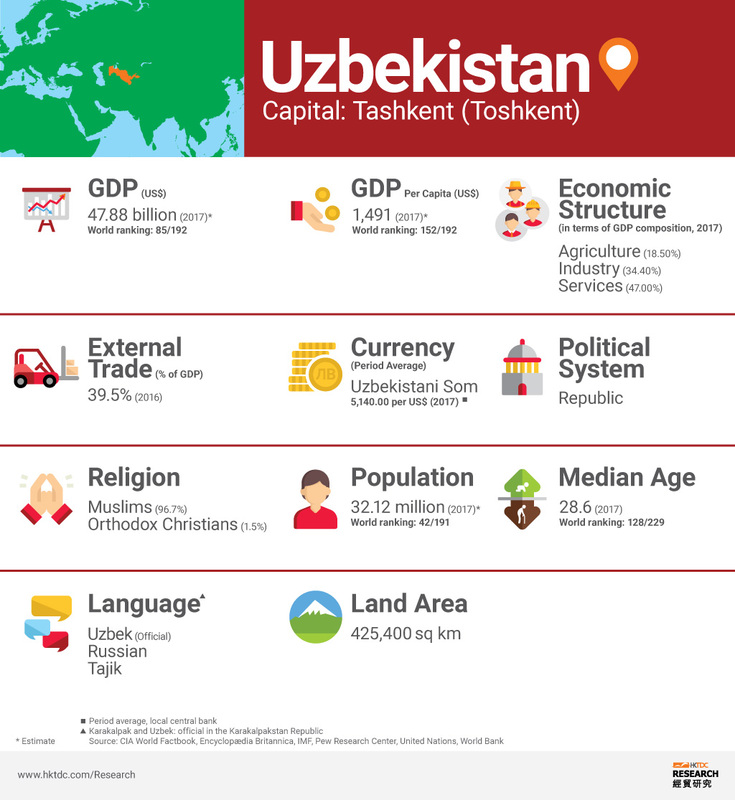 Tajikistan-Uzbekistan (effective date: January 1996): Uzbekistan trades extensively with Tajikistan: in 2017 the trade turnover between the two countries increased by 20%, reaching USD240 million. Azerbaijan-Uzbekistan (effective date: 1996): Uzbekistan supplies vehicles, non-ferrous metals, pharmaceutical products, fertilisers, electrical and mechanical appliances, and agricultural products to Azerbaijan, and renders services in the transport, tourism and other spheres. 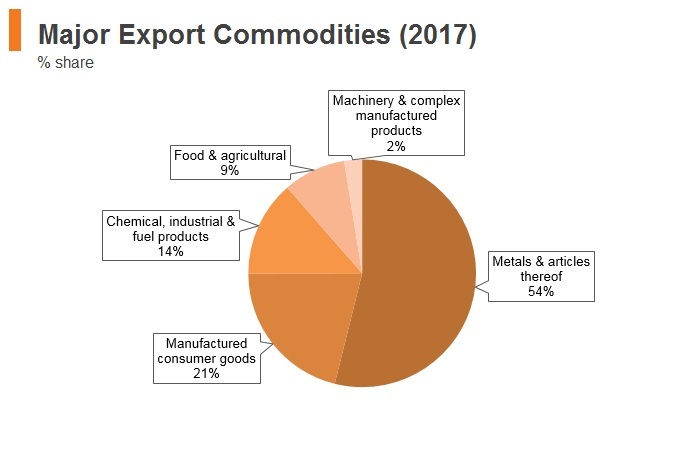 Azerbaijan's export to Uzbekistan mainly consists of mechanical appliances, confectionery products, various organic and chemical compounds, tanning and dyeing extracts. 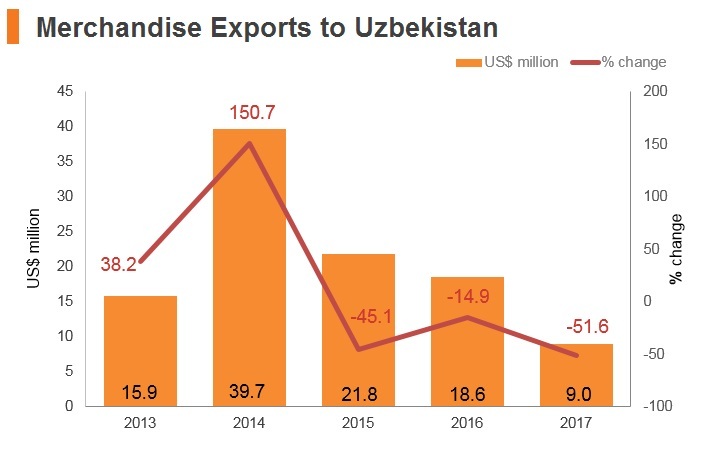 Ukraine-Uzbekistan (effective date: January 2006): Trade turnover between the two countries increased by 36% and totalled USD300 million in 2017, with Ukrainian exports increasing by 19% and Uzbek exports increasing by 70%. Russia-Uzbekistan (effective date: March 1993): The trade turnover between Russia and Uzbekistan for 2017 increased by 34% to USD3.65 billion compared to the previous year. 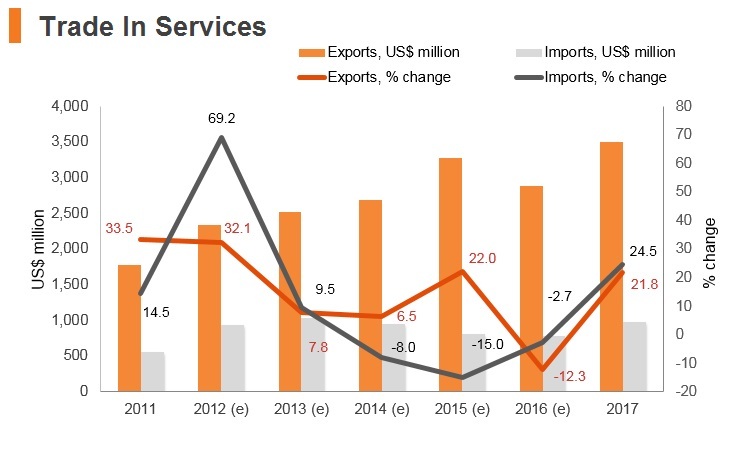 Kazakhstan-Uzbekistan (effective date: January 1997): Trade turnover between Kazakhstan and Uzbekistan amounted to USD2 billion in 2017, 31.2% higher than in 2016. Exports from Kazakhstan grew by 35% in 2017 to USD1.3 billion, while imports increased by 25.1% to USD735.2 billion. Kyrgyzstan-Uzbekistan (effective date: March 1998): In January-October 2017, the trade turnover between Uzbekistan and Kyrgyzstan increased by almost 60%. Georgia-Uzbekistan (effective date: January 1995): The trade turnover between the two countries amounted to USD105 million in 2015, up 54% from the previous year. Commonwealth of Independent States Free Trade Area (CISFTA) (effective date: September 2012): Free trade area between Russia, Ukraine, Belarus, Uzbekistan, Moldova, Armenia, Kyrgyzstan and Kazakhstan. It provides for the free movement of goods within the territory of the CIS, non-application of import customs duties, non-discrimination, gradual decrease of export customs duties and abolishment of quantitative restrictions in mutual trade between the CISFTA member states. EU-Uzbekistan (effective date: July 1999): The EU's bilateral trade relations with Uzbekistan are governed by a Partnership and Cooperation Agreement (PCA). 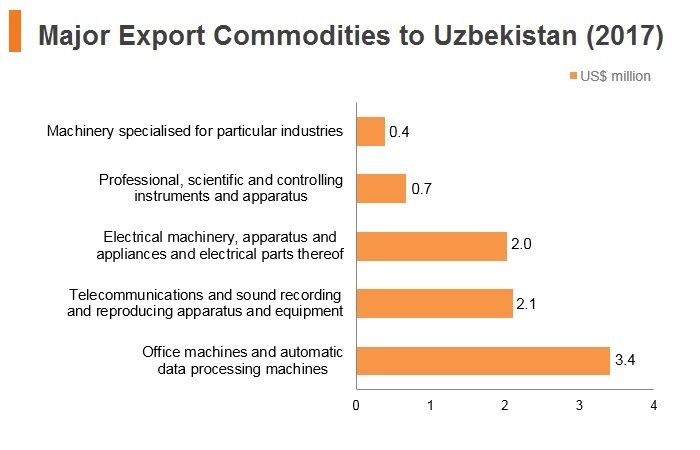 Under the PCA, Uzbekistan and the EU grant each other most-favoured-nation treatment with respect to: custom duties and charges applied to imports and exports; direct and indirect taxes applied to imported goods; and rules relating to the sale, purchase, transport, distribution and use of goods on the domestic market. Foreign investors can get consultations, business registration and other legal assistance from Uzinfoinvest agency, which operates as a branch of the Ministry of Foreign Economic Relations, Investments and Trade, or from the Chamber of Commerce and Industry of Uzbekistan on a contractual basis. These agencies provide investors with consulting services, as well as information and analysis support. Foreign ownership and control are prohibited for airlines, railways, power generation, long-distance telecommunication networks, and other sectors deemed to be related to national security. Foreign nationals cannot obtain a license or tax permission for individual entrepreneurship in Uzbekistan. All land in Uzbekistan is owned by the state. Uzbek and foreign private entities may own buildings, but not the land on which they are built. Foreign entities and individuals may lease land. The Law on Denationalisation and Privatisation (1991) lists state assets that cannot be privatised, including: land with mineral and water resources, the air basin, flora and fauna, cultural heritage sites, state budget funds, foreign and gold reserves, state trust funds, the central bank, enterprises that facilitate monetary circulation, military and security-related assets and enterprises, firearms and ammunition producers, nuclear research and development enterprises, some specialised producers of drugs and toxic chemicals, emergency response entities, civil protection and mobilisation facilities, public roads and cemeteries. 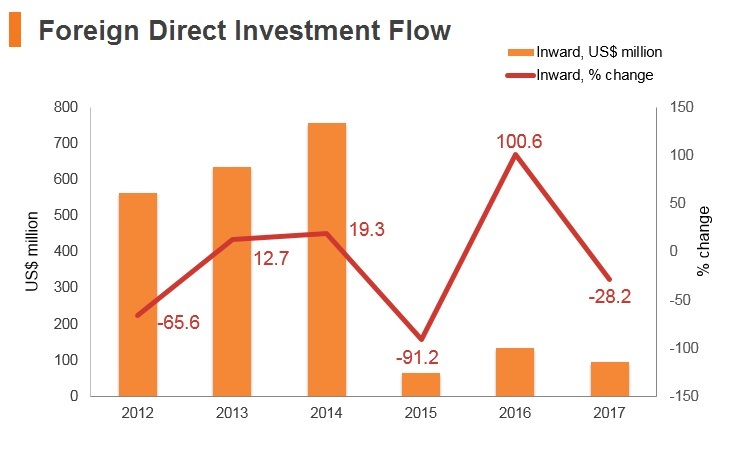 Foreign investment in media enterprises is limited to 30%. 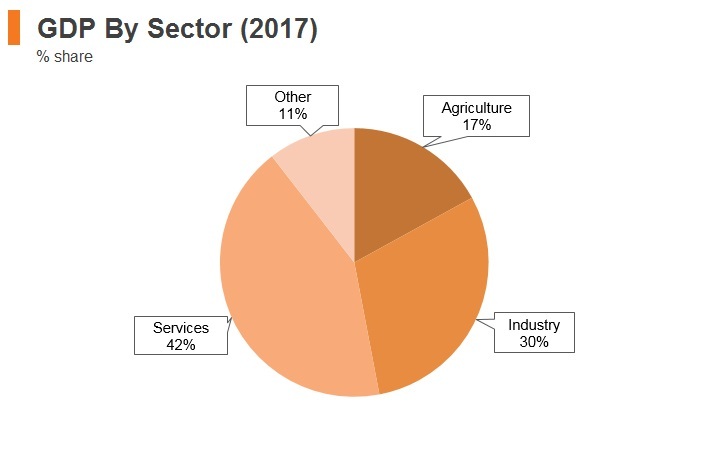 In finance, foreign investors may operate only as joint venture partners with Uzbek firms, and banks with foreign participation face minimum fixed charter funding requirements (EUR10 million for commercial banks, EUR5 million for private banks, and EUR1.5-6 million for insurance companies – equivalent to USD10.7 million, USD5.3 million, and USD1.6-6.4 million respectively), while the required size of charter funds for Uzbek firms is set on a case-by-case basis. Free Industrial Economic Zone (FIEZ) - Navoi - Navoi is located in close proximity to the international airport, highways and railway lines of international importance. - Businesses enjoy simplified procedures for entry, stay and departure, as well as permits for employing non-resident citizens of Uzbekistan, and foreign workers are provided with extensive tax exemptions, customs and other mandatory payments. - Businesses in Navoi are exempt from all taxes, including land tax, property tax and income tax for a predefined period, dependent on the size of the investment. - For investments from EUR3-10 million, the tax exemption period is seven years. From EUR10-30 million, the period of exemption is 10 years. In both cases, over the following five years, the rates of profit and unified taxes payment are fixed at 50% below prevailing tax rates. - For investments of more than EUR30 million, the exemption period is 15 years, where in the following 10 years, the rates of profit and unified taxes payment remain fixed at 50% of the prevailing rates. - Participants of FIEZ 'Navoi' are exempt from customs duties (except for customs registration duties) on imported equipment and raw materials and components for the manufacture of products for export to the entire period of the FIEZ. - There are no limitations in the implementation of foreign exchange transactions within FIEZ for the settlement of payments between entities in the FIEZ and for payments in foreign currency for goods and services from other business entities that are residents of the Republic of Uzbekistan. The Special Industrial Zones (SIZ) - Angren and Jizzakh - Businesses in Angren and Jizzakh are exempt from all taxes, including land tax, property tax and income tax, for a predefined period dependent on the size of the investment. - Investments of USD300,000 to USD3 million qualify for tax holidays of three years. Investments from USD3-10 million qualify for tax holidays of five years and those over USD10 million qualify for seven years. - There is an international logistics centre in Angren with a total area of 30 hectares and accommodating more than 300 freight vehicles and an operational capacity of 4 mn tonnes of cargo. and rate reduction for corporate income tax (CIT), property tax, and unified tax payment (UTP) for exporters. As of January 1, 2018, CIT is unified with the infrastructure development tax (IDT). Land tax rates for legal entities and individuals and water-use tax rates for individuals are raised by approximately 15% from Jaunary 1, 2018. From January 1, 2018, mandatory contributions to designated funds (ie, pension fund, road fund and educational/medical institutions fund) are unified into a single contribution, the mandatory contribution to the state funds. From January 1, 2018, excise tax rates for production of alcoholic drinks and cigarettes (and certain other goods) increased. At the same time, the excise tax rate for production of vegetable oil decreased. Petrol and diesel consumption tax decreased twice. Corporate Income Tax for commercial banks For commercial banks, the profits tax rate is 22%. A progressive scale of profits tax rates applies to mobile phone operators. Dividends Dividends paid to residents or nonresidents are subject to a 10% withholding tax. Property and Land Tax Property tax is charged at an annual rate of 5% of the net book value of the fixed assets, adjusted for the effect of revaluation. The Uzbek government agency on Foreign Labour Migration sets quantitative restrictions for the hiring of foreign workers in certain sectors. For example, all head accountants in banks and auditing firms operating in the country must be Uzbek nationals. Furthermore, for projects conducted under PSAs, only 20% of the workforce employed is permitted to be foreign. In order to be allowed to hire foreign personnel, companies must demonstrate that an Uzbek national does not have the requisite skills for the relevant position. Any company wanting to employ foreign labour also needs to obtain a foreign labour license from the Uzbek government. Foreign worker permits generally take one month to be issued and are subject to a state duty of around USD480. Foreign workers must register with the Uzbek Ministry of Labour and Social Protection. It is therefore a fairly lengthy process. A bilateral visa-free regime has been established with Kyrgyzstan (up to 60 days), Azerbaijan, Armenia, Belarus, Georgia, Kazakhstan, Moldova, Russia and Ukraine. From February 10, 2018, a visa-free regime is introduced for a 30-day period for citizens of seven new countries, including Japan, Indonesia, Israel, Republic of Korea, Malaysia, Singapore and Turkey. Mainland China and Hong Kong are on the list of countries whose citizens can use a simplified procedure for the issuing of tourist visas since February 10, 2018. Previously, the simplified procedure for issuing visas was available for citizens of Austria, Belgium, Great Britain, Germany, Spain, Italy, Latvia, France, Switzerland, Thailand, Czech Republic and Poland. The visa-free regime applies to citizens of select countries, and holders of all categories of passports (diplomatic, service and civil) planning to visit the Republic of Uzbekistan for up to 30 days, regardless of the purpose of their trip. 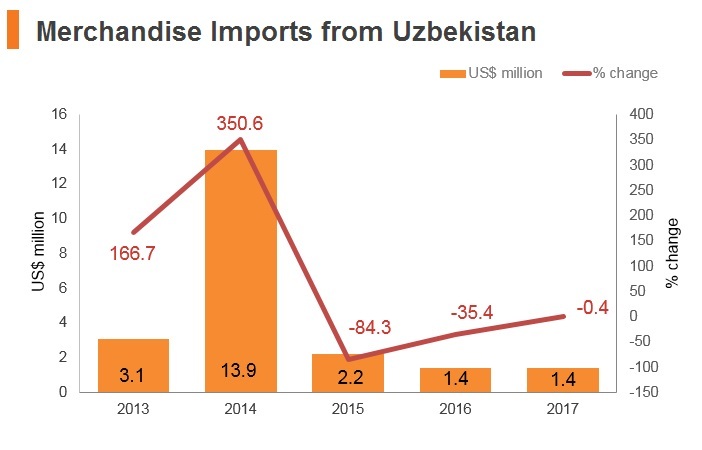 The devaluation of the soum on September 5, 2017 and the removal of currency controls were major steps in opening up Uzbekistan's economy to foreign direct investment and international trade. Moreover, President Mirziyoyev has sought to build international trade links, modernise key industries and reduce tensions with neighbours. Ties with Uzbekistan’s neighbours have been improving under Mirziyoyev's leadership and disputes around water supplies and borders are being resolved. 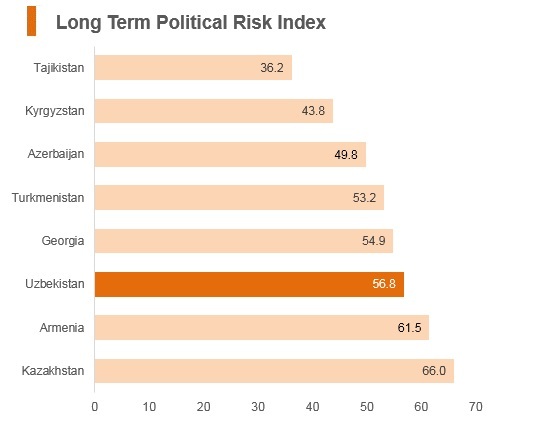 Improving relations with Russia are a positive and further co-operation in relation to a potential threat from instability in Afghanistan seems likely. 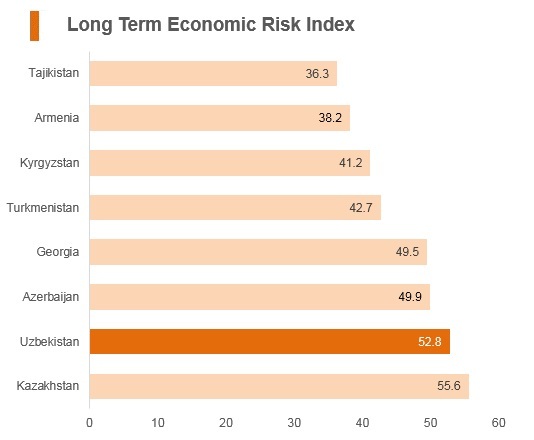 The prospect of Uzbekistan joining the Eurasian Economic Union has also risen. 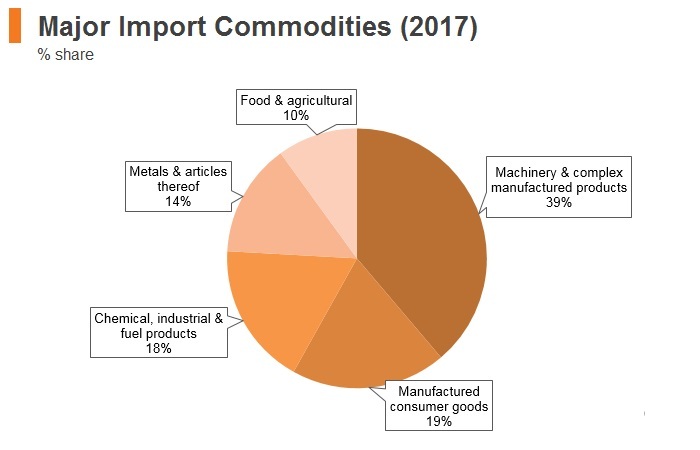 Nevertheless, the economy remains largely dependent on commodity exports and the country is slowly developing after years of isolation. 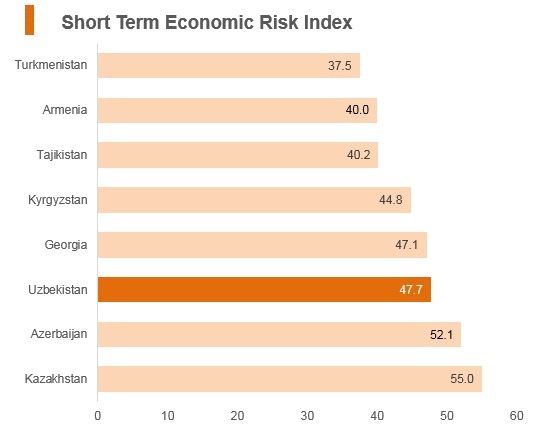 Companies seeking to capitalise on Uzbekistan's strong economic growth prospects, natural resources and strategic position along the Silk Road route will face significant risks to operating within the country. The most salient ones stem from high levels of state involvement in most facets of the economy, protectionist measures, poor utilities and transport infrastructure, as well as the potential of incurring penalties or reputational damage from the weak implementation of international labour standards, particularly within the country's cotton industry. The agreement between the People's Republic of China and Uzbekistan on the Promotion and Protection of Investments entered into force in September 2011. From February 10, 2018, a simplified procedure for issuing Uzbekistani tourist visas was introduced for Hong Kong citizens that implies getting a visa within two working days, not counting the day of receiving documents. Tourists will be given multiple-entry visas for up to one month, and representatives of the business community for up to one year, without requiring a tour voucher or an invitation from an inviting legal or physical person in Uzbekistan.